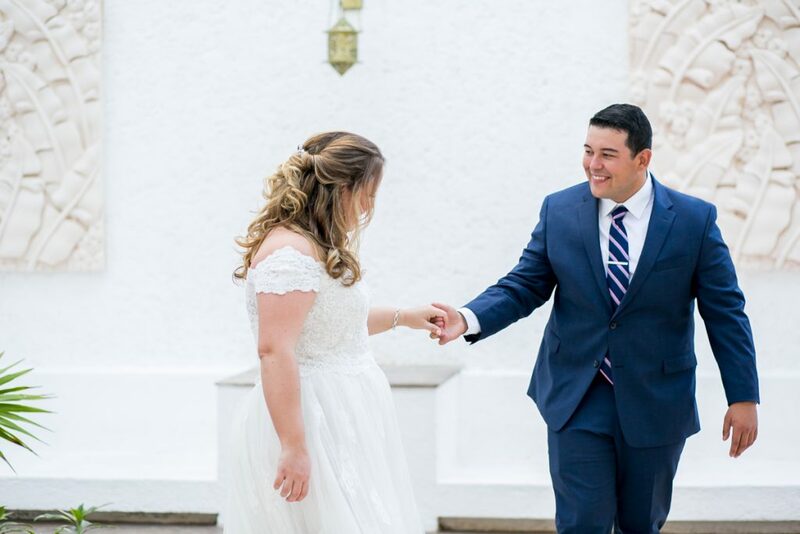 Chelsea & Luis are Fun In the Sun Weddings’ newest newlyweds! These two are proof that love can come from the most surprising places. Chelsea and Luis were actually in the same second-grade class together, but neither of them remembers each other! Years later, just before she started law school, Chelsea and Luis met again at a pool party. The rest, as they say, is history. Luis proposed to Chelsea in the most adorable way. They were on vacation in Cabo San Lucas when a photographer approached them with a Polaroid camera and asked to take a vacation photo of them. She handed Chelsea their picture (after doing a quick switcheroo) and it read “Will You Marry Me?” She looked up to see Luis down on one knee! Cute, right? 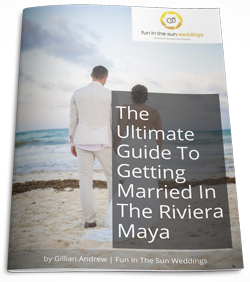 The bride and groom had taken their first trip abroad to Cancun at the GR Caribe Deluxe by Solaris, and they had so much fun that they wanted to share it with their friends and family. A destination wedding seemed like the perfect plan. They brought a suitcase of wedding décor with them, in light pink and silver, and also featured a photo of their second-grade class on their entry table. Their Cancun wedding far exceeded their expectations, surrounded by happy, dancing friends and family. And although the fireworks were up there with the best moments, Chelsea says that her favorite memory is of Luis saying his vows on the beach. What is Chelsea’s advice for the bride to be planning a wedding on the beach? Don’t over pack! The hotel has more than you think. 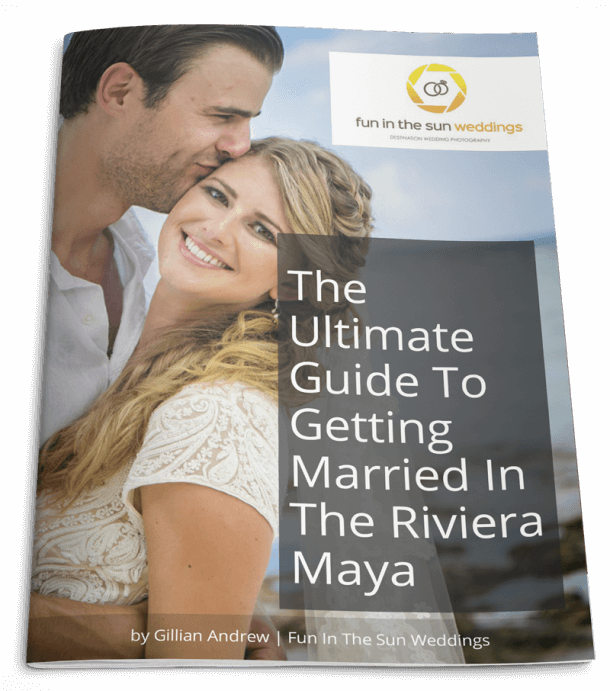 Take a special honeymoon for the two of you after the wedding – friends and family will want to hang our after your wedding if you’re at the same resort. Chelsea and Luis, it has been such an honor being a part of your big day and capturing all the memories. We wish you every happiness in your marriage and hope you will be back to see us soon! Congratulations! So, are YOU getting married in Cancun and want the best Cancun wedding photographer for your beach wedding? Then contact us now! We are Fun In The Sun Weddings, for the best Tulum wedding photography. Want to know more about GR Caribe Deluxe? Read unbiased reviews on Tripadvisor here. Fun in the Sun Weddings took our wedding photos at GR Caribe by Solaris and they did a fantastic job! We are so thrilled with the photos. They even put together this blog post about our special day. Marc and Gillian were both an absolute pleasure to work with. I highly recommend using them for your wedding!! !